For its 9th year, Leon County's Sustainability Summit headed to fresh air and wide open spaces on Saturday, March 23. 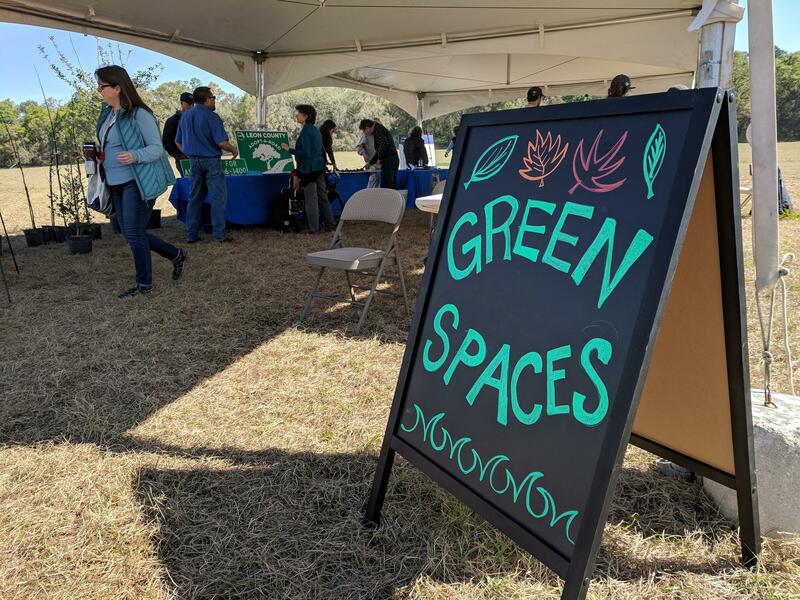 The event at the J.R. Alford Greenway focused on ways to make human activities more compatible with nature. One of the many exhibits and display booths at Leon County's Sustainability Summit. All manner of exhibits and displays were set up at the greenway trail head. And the County's event organizer Tessa Schreiner was pleased when hundreds of people showed up to check everything out. "And I think from the feedback I've gotten so far that people have learned a lot and are really surprised about some of the things they didn't know were already going on and some of the organizations that are doing great things in the community. And then some things that they and we as citizens can do better every day," she observed. Which left only one question unanswered: would the 10th annual Sustainability Summit also be an outdoor affair? "It's been really beautiful and successful and way more fun than being indoors, so it is possible," Schreiner grinned.